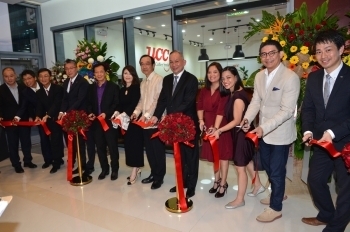 MANILA, Philippines — On November 5th, the Japanese Ambassador to the Philippines Koji Haneda participated in the grand launching ceremony together with Ueshima Coffee Company (UCC) Philippines Chairman & CEO Hubert Eric U. Young and UCC International President Seisuke Ueshima. Ambassador Haneda also joined the ribbon cutting ceremony to officially open the Coffee Academy to the public. In his congratulatory remarks, the Ambassador mentioned that the deep mutual ties shared between Japan and the Philippines were something to be savored, just like a perfectly brewed coffee. Located at the 3rd floor of the Uptown Bonifacio Mall, the UCC Coffee Academy is the first coffee institute outside Japan.